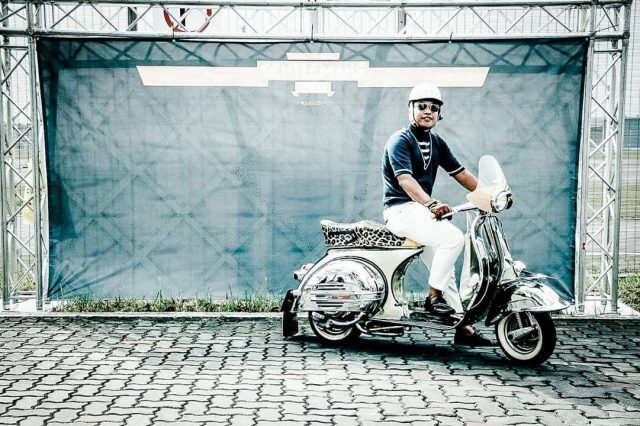 As a teenager, Mohamed “Fuzz” Fazli fell in love with Vespas after watching English rockers Ocean Colour Scene buzzing down the road on their classic Italian scooters in “The Circle”, a 1996 music video. “I was into British rock bands, and the scooters in their music videos piqued my interest,” Fuzz said. His fixation with Vespas deepened when he saw Oasis on their scooters in the There and Then documentary. He was also drawn to Phil Daniels’ character in the 1979 film Quadrophenia, a scooter rider who’s part of a mod clique. So when he turned 19 and has saved up about $3,000, he couldn’t wait to buy his first Vespa. The emergency response specialist, who’s now 34, has spent more than $40,000 buying and restoring 5 Vespas to date. He plans to add more to his collection. He kept his parents in the dark for 2 years about his purchase until they found out for themselves. “They were worried because my Vespa looked like it would break down,” he said. As Fuzz was determined to collect more Vespas then, he had no qualms working part-time in a machinery company after school to pay for his hobby. He also found a way to buy second-hand scooters at more affordable prices. 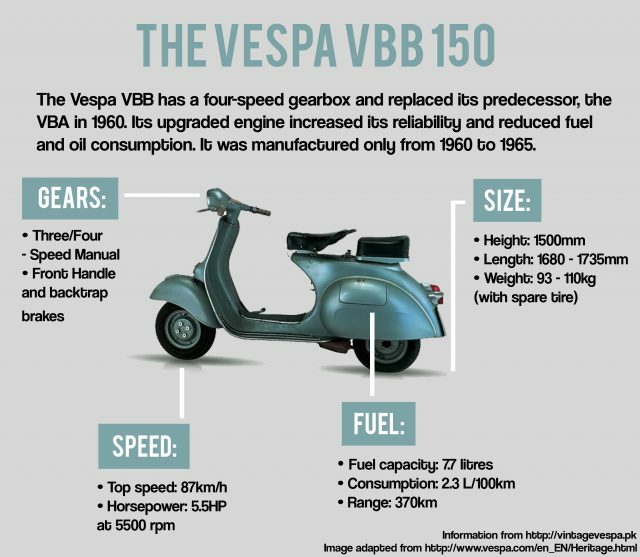 The Vespa VBB (1965) is the most expensive scooter in Fuzz’s collection. He has spent over $16,000 on it since purchasing it in 2007. Fuzz added that his hobby has given him the opportunity to make friends from all over the world, as he has visited countries like the UK, Sweden, Denmark, Italy, Thailand and Indonesia for scooter events. “Although I want to display my own Vespas at these events, it is costly to ship them over. However, I do have plans for it in the future,” said Fuzz. In Singapore, Fuzz has generously lent his Vespas for display at weddings and for magazine or commerical shoots. His Vespas have been featured in a StarHub ad and a Singapore comedy film Rubbers. 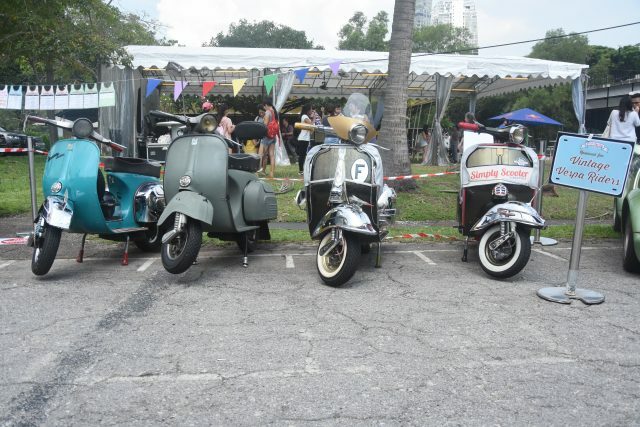 He also recently displayed his Vespa VBB (1965) at the Let’s Go Jalan Jalan event, a food and music festival which took place last month. “I’m happy that I can share my passion with like minded-people, especially the scooter enthusiasts, vintage collectors and also to everyone else,” said Fuzz.